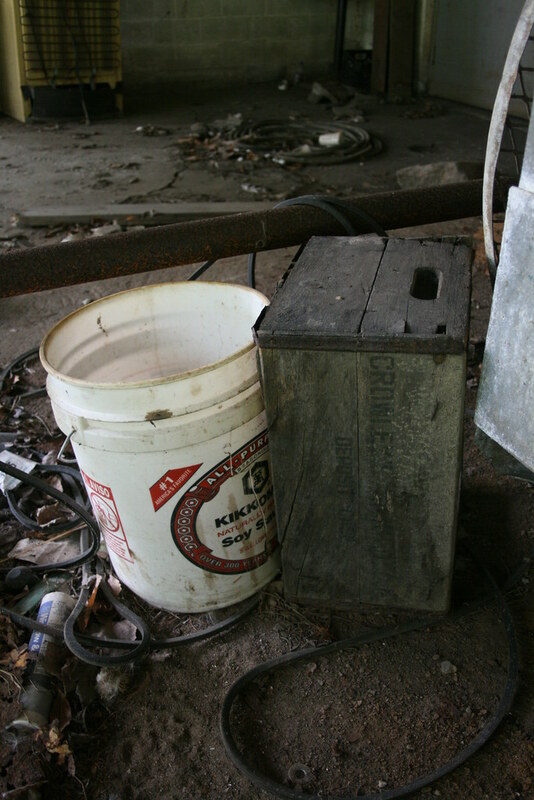 Hard to tell from the photo, but this is an old wooden milk crate labeled "Crowley Dairy Products". The bucket is apparently for Kikkoman soy sauce, an unusual contrast. Then again, this is the Catskills, and we all know that Chinese food is popular with Jewish folk.